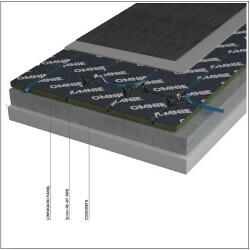 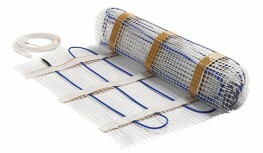 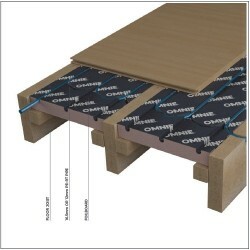 OMNIE Ultimate is a low build up underfloor heating product that's manufactured from extruded polystyrene insulation (XPS). 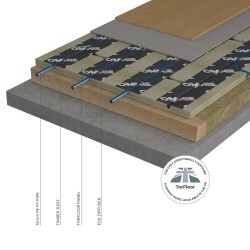 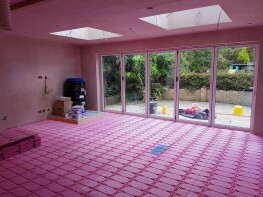 It enables tiles or vinyl to be laid on a firm, tried and fully tested floor build up, whether the floor make up is a solid slab/ screed or a timber (suspended) deck. 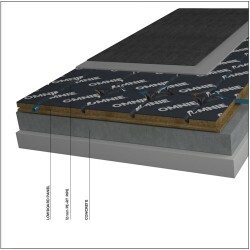 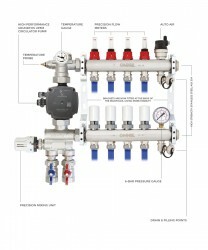 The Ultimate panels are multi-directional providing ease of installation of pipework and incorporate a diffuser channel to increase the heat output compared to just simple routed channels. 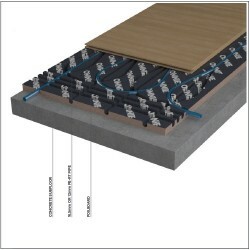 This diffuser channel is simply a wide router channel that spans the pipe dropping 2 or 3mm into the panel increasing the contact with the pipe by about 30% which in turn increases the heat output and reduces the warm up time. 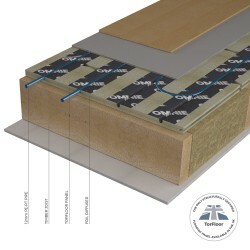 It is designed in conjunction with tried and tested primers, adhesive and levelling compound from Tilemaster Adhesives Ltd to overcome the usual issue of low build up floating floors moving as well as not having a surface which allows the tiles to bond properly. 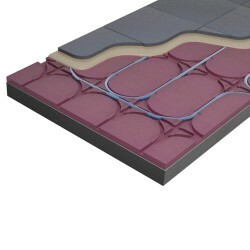 TILEOVER Can be tiled over using our unique Tileover technology. 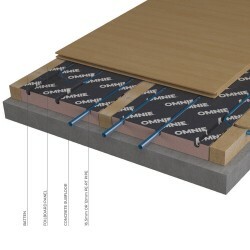 Please note that these product properties are not a replacement for the manufacturer's literature and it is always recommended that OMNIE is consulted before specifying.